A Nano particle is defined as a particle between 1 and 100 nanometres in size. Nano particle synthesis research is currently an area of intense scientific interest. There are a wide variety of potential applications in biomedical, optical and electronic fields. In the biomedical field two classes of nano particle synthesis are having increased applications. Uses include in-vivo and vitro biological applications. The Nano particle used in these cases are Quantum dots and metal colloids. In recent years chemists have been moving away from traditional batch based processes towards flow chemistry. For both quantum dots and metal colloid formation, micro-ﬂuidic synthesis has been shown to be superior to traditional batch methods. High quality, monodisperse particles can be produced by flow processes due to the ability to maintain ﬁne control of all reaction variables. These variables include reactant concentration, mixing, timing of reagent addition, and temperature. The image below shows Nano particles produced in a tubular rector fitted with Kenics static mixers. 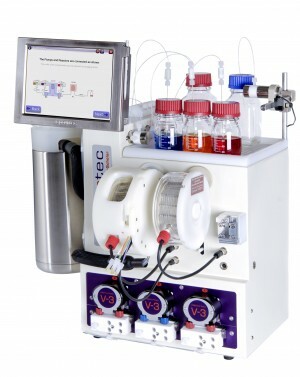 This application note illustrates the use of the Vapourtec E-Series to synthesise nanoparticles under continuous flow conditions. Two classes of silver nanoparticles are reported. 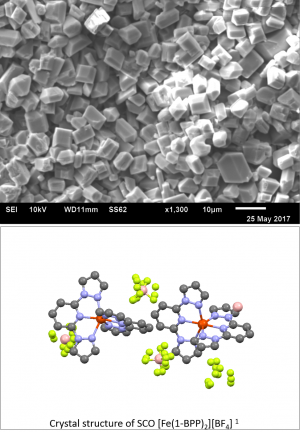 The properties of metal nanoparticles are highly dependent on size and morphology, so ensuring consistency is paramount. 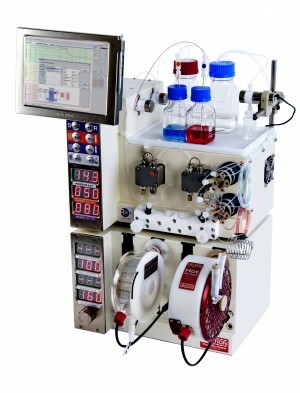 Flow chemistry brings the advantages of precise control over experimental conditions (temperature, pressure, and residence time) and essentially limitless scale. As such, it is often the method of choice for production of nanoparticles.